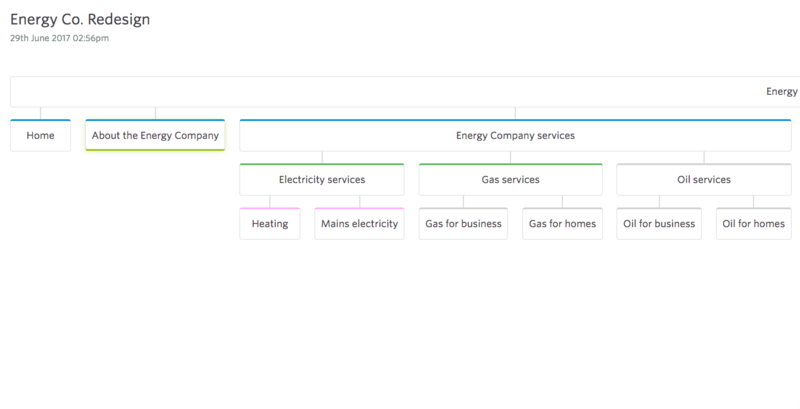 ​Visualise your project hierarchy using the content map in GatherContent. This article is for the new version of the content editor. The content map visually represents a project's hierarchy, as shown on the Content tab. To open the content map, click the content map icon on the Content tab. It shows the structure and relationship between items in your project, and the current workflow status of an item. You can collapse and expand any parent item in hierarchy by clicking on it, which will collapse all the children items underneath. This allows you to easily view the structure of your project at different levels. If you click on the arrow in the top right of a parent item, you can view a subtree of just that parent and it's children, which opens in a new tab. To get back to the project overview, click on the title of the sitemap in the top left of the screen.